Happy Wedding Wednesday! Today I’m sharing with y’all one of my favorite gowns from October’s NY Bridal Market. When this ball gown came out on the runway at the Lazaro show, my mouth literally dropped to the floor. If there’s something you should know about me, it is that I have dreamed of a blue ball gown since I was tween. So Lazaro giving me this baby, was like choirs of angels singing. I’ll even go to the extent of admitting that I got teary eyed. Yes, a gown moved me to the point of tears. Ok-ok, I’ll stop yapping and share the dress with you. Isn’t it glorious? I need to have it in my life! Want to see more? 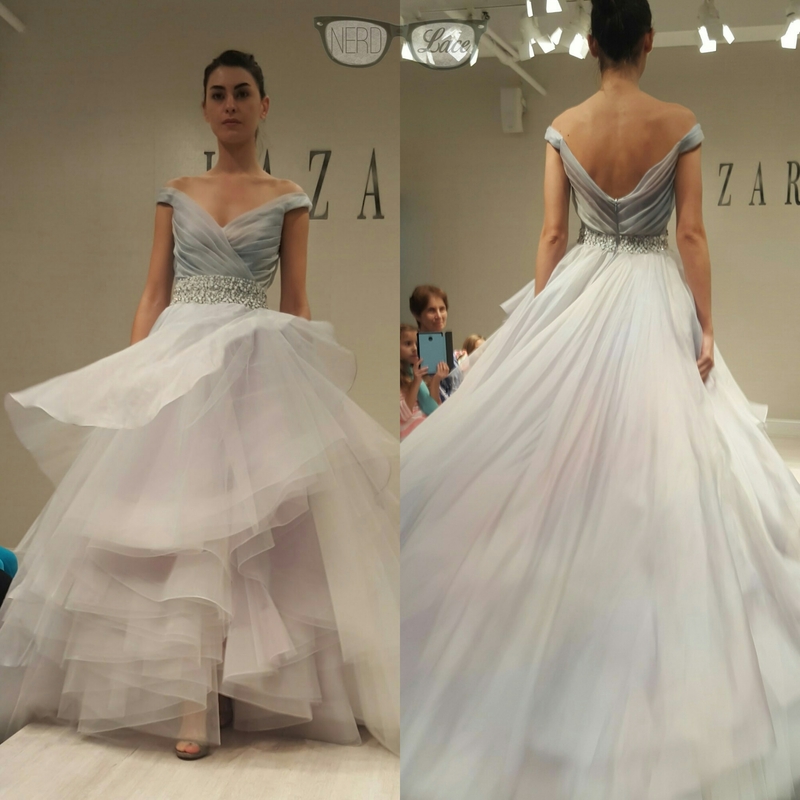 Check out our coverage of Lazaro and JML, October NY Bridal Market.